KTM’s new entry-level motorcycle for the Indian market, the 125 Duke, has delivered positive numbers in its first full month of the market. The bike, which replaced the 200 Duke as the most affordable KTM in India, scored 2,414 units in December 2018. During the same month, the 200 Duke managed to find 925 buyers, witnessing a negative year-on-year growth of 39 per cent in December. The KTM 125 Duke, which replaced the 200 Duke as the brand's entry-level motorcycle in India, has clocked 2,414 unit sales in December 2018. The 200 Duke delivered positive year-on-year sales growth of 7 per cent and 23 per cent in November and October respectively. KTM introduced the 125 Duke ABS in the Indian market at an introductory price tag of INR 1.18 lakh. The 200 Duke ABS, on the other hand, is available at INR 1.60 lakh – all prices are ex-showroom Delhi. The KTM 125 Duke has retained the styling of the previous generation model to keep the costs low in the price-sensitive Indian market. The bike uses a Euro-4/BS-IV compliant 124.7cc, single-cylinder, liquid-cooled, fuel-injected engine that delivers 14.5 PS of maximum power at 9,250 rpm and 12 Nm of peak torque at 8,000 rpm. The motor is paired with a six-speed gearbox. The 125 cc Austrian motorcycle benefits from trellis frame, aluminium swingarm, and 43 mm upside-down telescopic forks at the front. Stopping power comes from a 300 mm disc at the front and a 230 mm disc at the rear while the safety net of single-channel ABS comes as standard. The motorcycle also gets an anti-lift system where the back wheel does not lift up under hard braking. 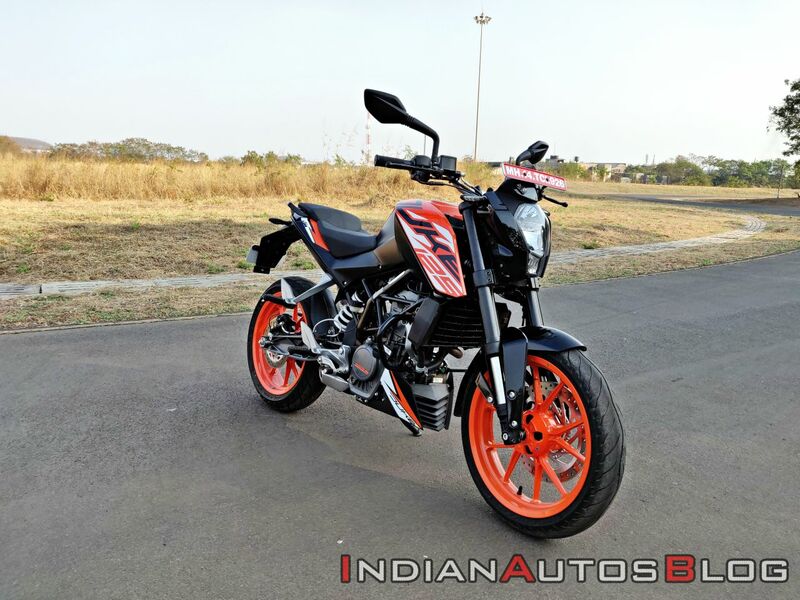 KTM introduced the 125 Duke in the Indian market at an introductory price tag of INR 1.18 lakh. The India-spec 125 Duke carries the styling of the previous generation model to keep the costs low. Regarding rivalry, the KTM 125 Duke does not have a direct threat, yet. However, things would change once the Yamaha MT-15 arrives in India. The naked roadster version of the YZF-R15 V3.0 was recently spotted in India and is gearing up for a launch this year. The Yamaha YZF-R15 V3.0 ABS retails for INR 1.39 lakh*. 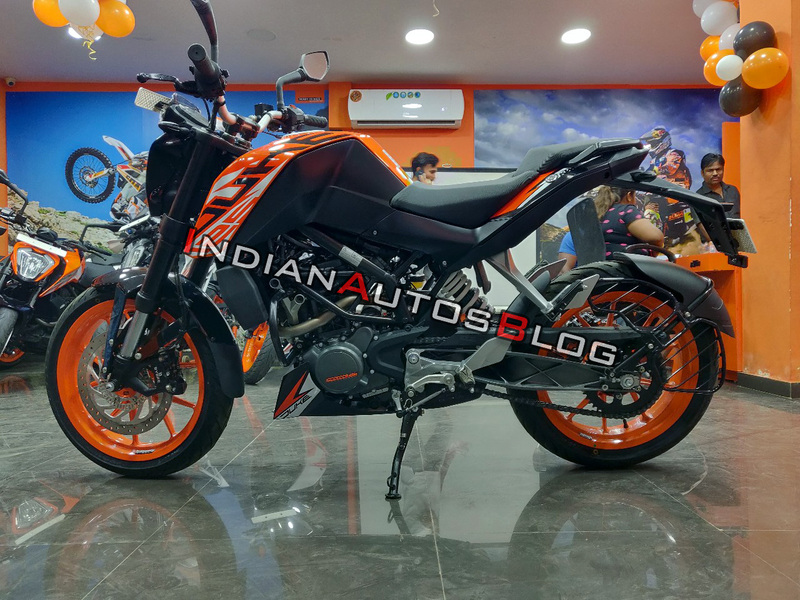 Meanwhile, the KTM 125 Duke is priced very close to the TVS Apache RTR200 4V ABS (INR 1.11 lakh*), and the Bajaj Pulsar NS200 ABS (INR 1.12 lakh*).